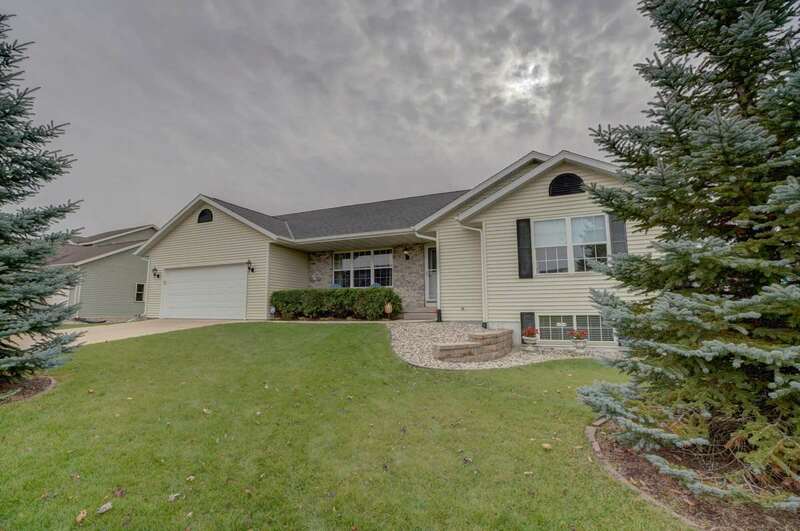 1365 Chadsworth Dr, Sun Prairie, WI.| MLS# 1844838 | John Reuter Realtor/Broker/Owner of The Reuter Team. Wisconsin Homes for Heroes Realtor. Proud to be the Top Homes for Heroes Realtors in Wisconsin and One the Top Homes for Heroes Realtors in the United States. Sorry, , open house cancelled!Looking for a move in ready ranch home? Look no further! This home has a lot to offer: hardwood floors, white woodwork, open floor plan, SS appliances, solid surface counter tops. Living and family room all on the main floor (living room currently used as a formal dining room). Laundry room conveniently located by the bedrooms. Lower level features a huge rec room with another gas fireplace, 4th bedroom, full bath and lots of unfinished storage. See documents for extra features! Items Included: Washer And Dryer, All Window Covering Except Main Floor Bedroom Curtains.